The Maurice Milner Memorial Hall is in the Borough, just outside the Mint Yard Gate. Originally built as a Primitive Methodist Chapel in 1872, it is now used for drama. It is named after a former P.E. 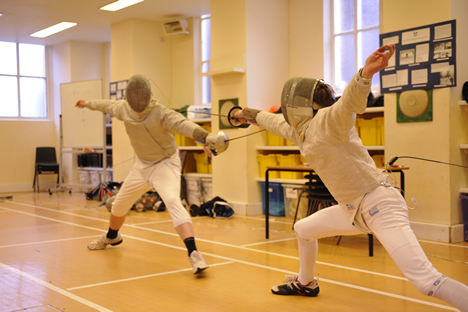 teacher and fencing coach and was until recently used for fencing. An additional floor has been added.